The impact of losing your husband or a father to your children is indescribably painful, a feeling you’ve never had before. We believe that there is no right or wrong way to grieve and that grief cannot be measured or compared. When you lose your spouse, you lose an entire way of life. A life that was built for two must now be lived by one. In a culture that shies away from connecting with others when faced with vulnerability, you desperately want to move beyond but cannot seem to find the wherewithal to do so. Many need a connection with something bigger to heal, and they may not even be aware of it. We believe Wicare is that connection. Wicare will provide the support, resources and tools that will empower you to move forward, no matter what type of loss you have experienced. We provide intimate, personalised and group grief support by addressing your specific needs as you navigate the grieving process. Please contact us, and together we will find the offerings that will provide the helping hands of support you need to heal. Our services are designed specifically for widows by widows..
Wicare’s peer-to-peer support groups and initiatives will connect you to a network of other women who can relate to your loss, sharing their experiences to help you through this very difficult time. We want to provide you with the emotional support you need to cope with your bereavement and the information and training you need to rebuild your life. Individual Counselling*. We offer professional individual counselling to the bereaved helping them to relieve their grief and to adapt to a new life. Our counselling team provides quality counselling services covering assessments, advice, counselling and referrals for each individual case. Group Counselling*. Besides individual counselling, group counselling is also available. Circle Time a group therapy session is offered periodically through small groups facilitated by our counsellors or appointed persons. It aims to assist group members to share and learn from each other’s struggles and challenges in adapting to a new life and facing bereavement positively. Fun and recreation. At Wicare, we believe that healing through engaging, fun and therapeutic group activities is equally important to support, grieving widows and fatherless children. Talks, programmes and workshops. Designed to help widows come to terms with reality and to equip them to face one of the biggest transitions in their lives. Our educational talks and workshops are chaired by professionals and experienced volunteers. Resource for Employment. We provide information on job opportunities through our networks. Raising children is hard enough, but if you are parenting alone, you are probably facing a whole host of additional challenges. Single parents often feel overwhelmed, isolated and exhausted as not only are they looking after their own welfare, but they bear the full weight of the responsibility for their children’s physical and emotional well-being and the financial pressures that go along with it. Let us come alongside you and we will walk this journey together. Assistance for Education. Wicare’s commitment to assisting with children’s education includes the Education Performance Awards to help families as well as to recognise the efforts of children who have performed well in school despite the odds. Professional Help. A professional counselling relationship offers you the opportunity to relate to a caring, supportive individual who understands the grief process, does not need you to depend upon, and will allow you to grieve without interference. Assistance for Financial Hardship. Families often suffer from financial stress after the death of a father. Wicare is able to provide financial assistance on a case-by-case basis to achieve immediate practical solutions to the urgent and pressing needs of needy families. Peer-to-Peer support programmes for Fatherless children. There is no one best way for a child to grieve the loss of a father. A father's death is not something a child should be expected to "get over" and there is no universal timetable for how long a child's grief will last and this can be a tremendous strain on the widow, who is also grieving herself. Wicare offers a one-on-one, widow-to-widow life line that helps widowed women with fatherless children navigate the enormous challenges they now face. The death of a spouse is a one of the most stressful experiences that anyone can encounter. If you are in your senior years, bereavement can be a greater struggle. Health problems, loss of independence, isolation, and other issues that come with ageing can deepen the grief and recovering can be challenging. The Care and Connect Group brings widows together in a safe place where they can talk about their fears, emotions and hopes associated with grieving. By sharing these experiences, widows can connect and support each other as they adjust to widowhood. “The programme is well-planned and at times can be very insightful, and thought provoking at the same time.” Anna Yee, past participant. To register, call 6354 1941. Click here to download new Care and Connect Group session dates. Clinical studies have shown that the benefit of attending a counselling support programme reduces anxiety, depression and feelings of isolation. Rebuild and Shine is a guided reflection journey. It is conducted by volunteers who have been widowed for a period of time and have made satisfactory adjustments to their new life. 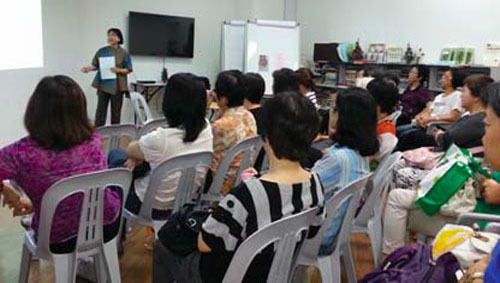 They befriend and share with newly bereaved widows their own experiences on a one-on-one basis. It is an opportunity for the new widow to get support while coping with grief and as she begins to rebuild her life. Facilitated by volunteer widows on a one-on-one basis. How do I sign up for WiShine? 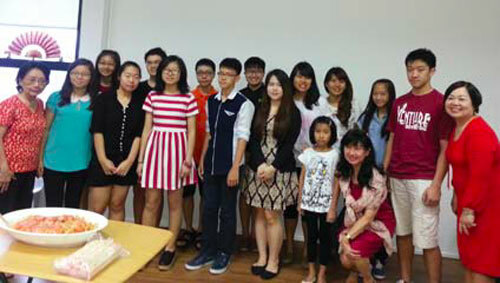 Please contact us at 6354 1941 or email us at wishine@wicare.org.sg. Our office hours are Monday to Friday, 9am – 6pm. Our services are provided free of charge. Donations are always welcome.